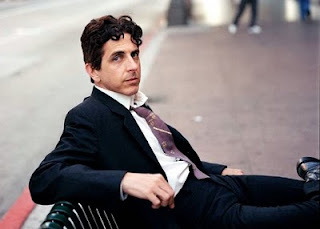 Under-appreciated songwriter...Michael Penn...has always been given props and accolades from most music critics...but seems to have never been given a fair-shake from music fans. Maybe because many felt Penn had been blessed with "silver-spoon" opportunities. Fugetabotit! Michael Penn is very good on his own merits. Mixing folksy with a bit of Rock...and laying down one unexpected killer line after another. Penn demands multiple listens. Just be ready to be hit with a heavy does of shadowy reality with a slice of tongue-in-cheek! Lost Gem:--> "Long Way Down"...from "Free-For-All" (1992)...is an all familiar...light-bulb moment...of realizing you are in love with the wrong person...and resigned to a weary acceptance. Penn's vocal delivery is flawless, unapologetic and cuts, oh so very close, to the bone. -->Brilliant! look what the cat drug in. that I gave my one true love on. Oh man, look what the wind blew home. Oh, what terrible things she shows. that I have the strength for this anymore. ('cause) it's a long way down. sleeping with the whole wide world.